It’s beach time everyone! You have probably booked your vacation or started thinking about possible destinations, right? Everyone is looking forward to enjoying some beautiful beaches and the dazzling blue waters. Girls are obsessed with fashion and they don’t leave the fashion trends behind even when they are on the beach cause they want to look amazing there as well. If you love to do your hair for those sandy places here I’m going to help you choose the right hairstyle for the occasion. 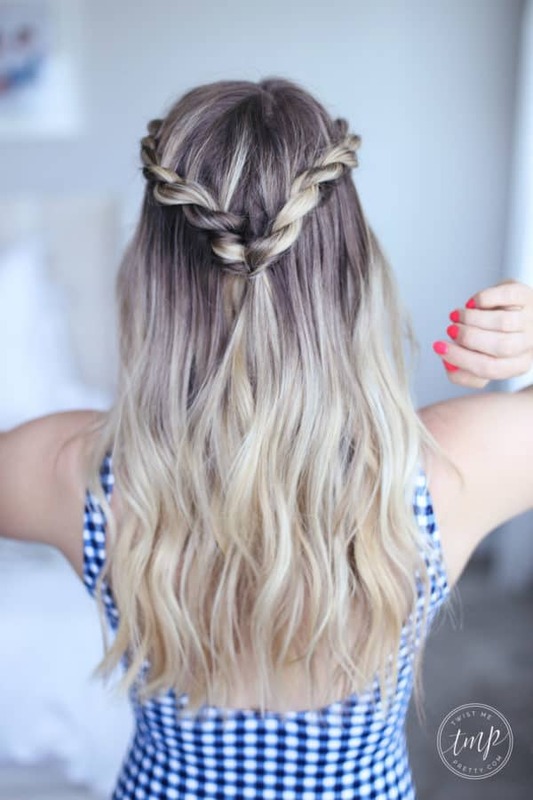 Scroll down through the photos and see the Cute Beach Hairstyles That You Should Try On Your Vacation to steal the show at the beach bar and make some memorable photographs where you look polished from head to toe. Most of the hairstyles are messy cause let’s admit it – the wind and the salty water will get your hair messy anyway, so why bother do a sleek hairstyle for the beach? 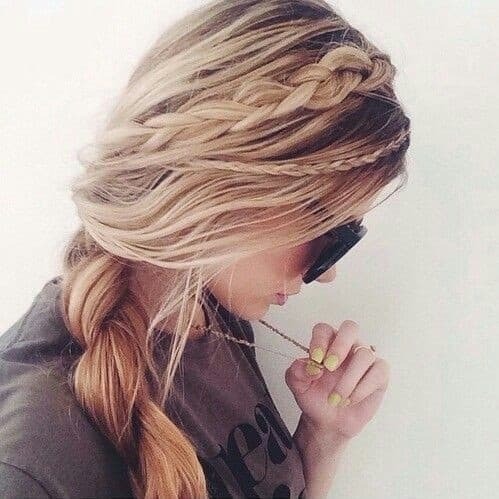 Enjoy those laid-back hairstyles when you can! Summertime is for messy hair after all! 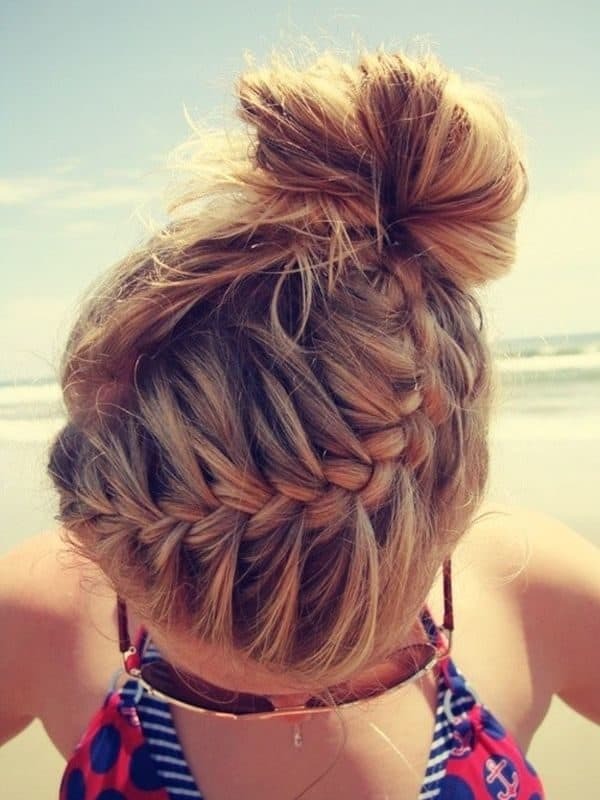 If you hate your hair touching your back while you are at the beach, have it in a messy up-do. 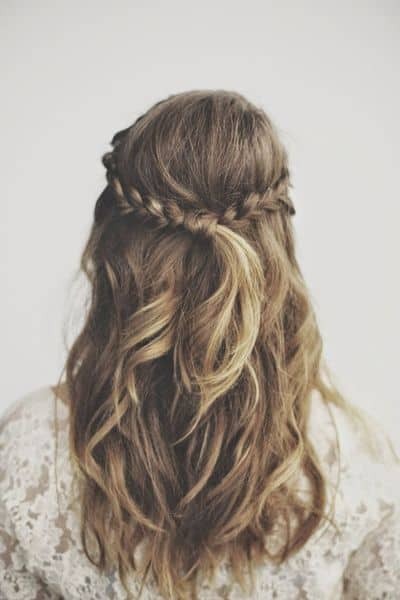 The hairstyle below looks adorable, doesn’t it? 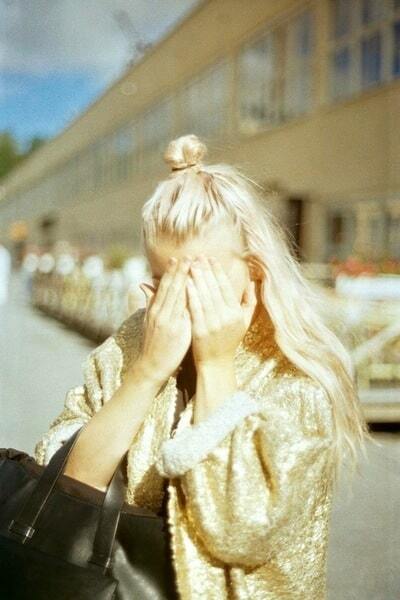 Lots of girls prefer to have the top knot for the beach. 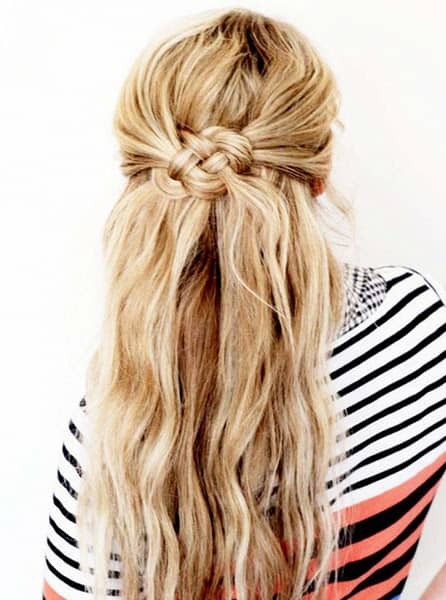 This hairstyle is so easy to make and you won’t need more than a minute to make it. 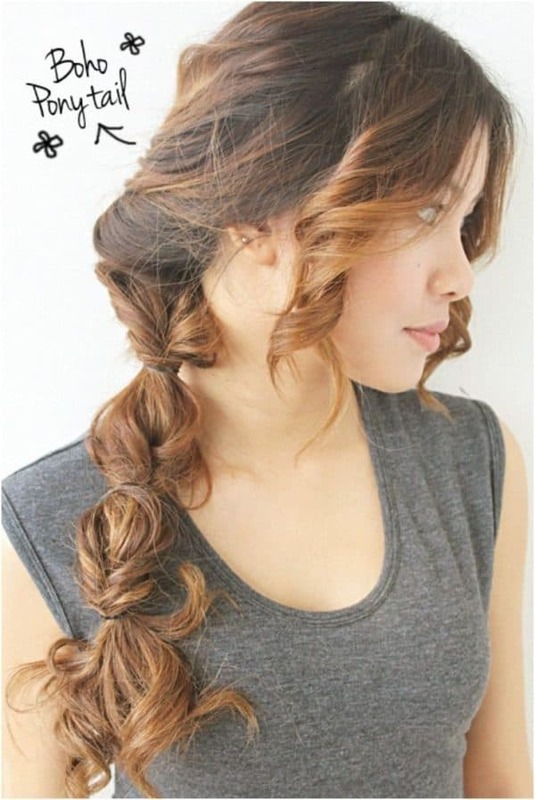 When you are rushing to go out and you don’t have time for something more complicated, this is the hairstyle for you! 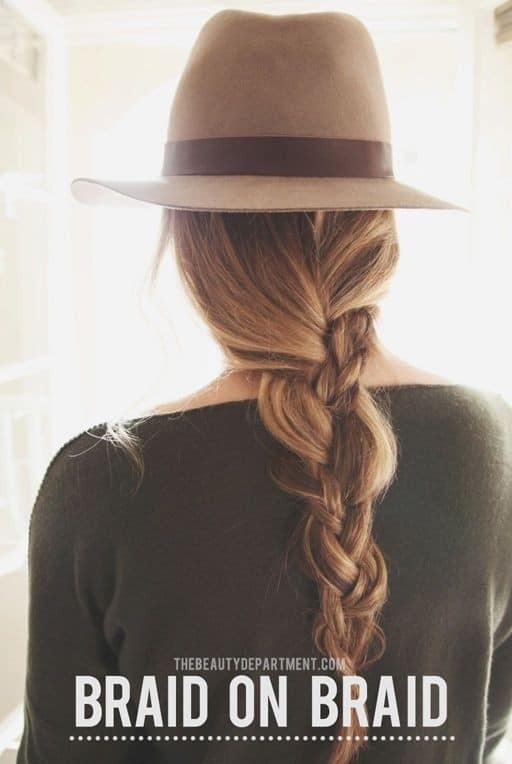 Braids are the most common summer hairstyle and there are so many different variations of them. What do you say about this double one? Put your summer hat on and rock your look at the beach this year! 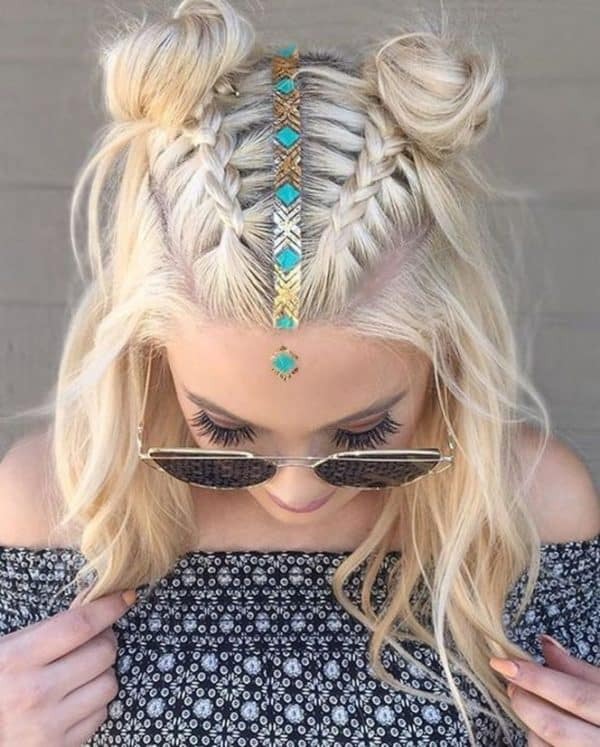 Everyone will be turning heads to check out your cute hair, believe me! 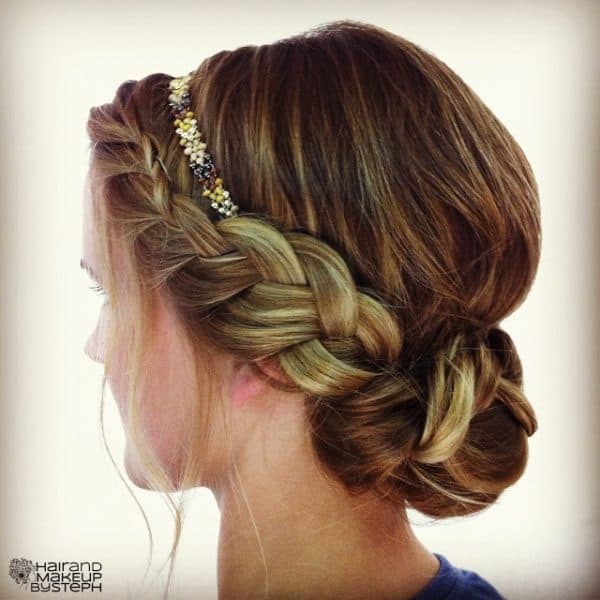 You won’t go wrong with any of these hairstyles. All of them are totally appropriate for the beach.